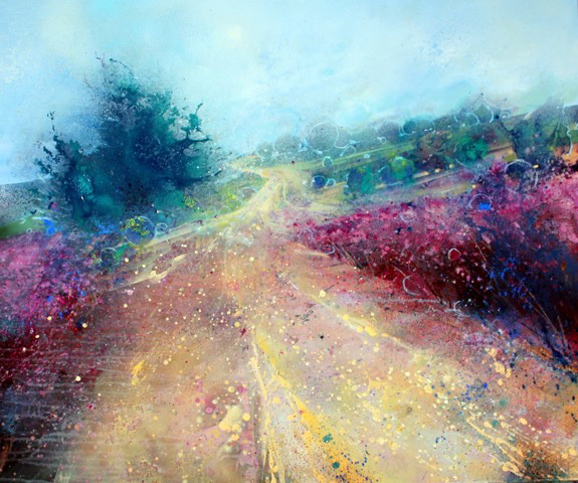 Lorna Holdcroft, born in Surrey in 1967, trained at Wimbledon School of Art where she was awarded the prize for drawing and then went on to study for a BA Hons in Fine Art at North East Polytechnic (now University of East London) in the late 1980s. Based in the heart of the East End of London, she drew inspiration from disused dockland areas and industrial landscapes. Here she explored her love of colour and texture which has been a passion that has informed her painting ever since. 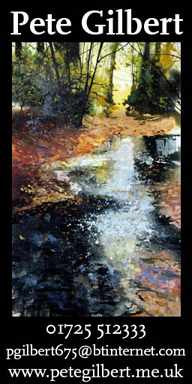 Lorna takes great inspiration from the very different landscape of Sussex, where she now resides. 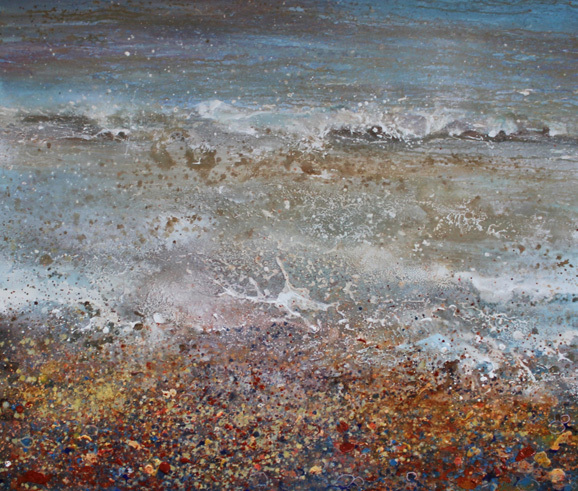 Fascinated by the unerring power of nature, she has become well known for her dramatic depictions of the Ashdown Forest, the South Downs and the sea. Her work is collected worldwide and can be seen at her third solo show at Ashdown Gallery, Forest Row, from 5th to 23rd May. The show will also see the launch of a beautiful new book by local author, Neil del Strother, entitled ‘The Girl with a Deer on a Lead’. Lorna has illustrated the front cover and both will be attending the preview evening on Tuesday 5th May. When did you first pick up a paintbrush or pencil? I always wanted to paint and was rarely found without a pencil in my hand. My parents were incredibly supportive too, allowing me to take over various parts of the house with artistic projects. I won a borough portrait competition when I was 6, but was too embarrassed to tell anyone. I was so shy and didn’t want to attend the awards ceremony at all. I received my shiny box of coloured pencils later at school. I think I actually spent much of my school days in the art room. What do you love about being a professional artist? I absolutely love my job. Artists are never really off duty; we are constantly observing, considering, seeking inspiration to capture something new in the world. I consider myself very privileged to be able to do what I love and to share it with others. My days are rarely the same and I gain enormous fulfilment from creating something that will last and be treasured. Painting can be a struggle of course and that too is intoxicating for me, as that often triggers new ways of working. I also get to work with great people; I’d particularly like to thank Cathie Hubert at Ashdown Gallery for her ceaseless support and amazing drive. What did you have to overcome to feel you had started to become successful as an artist? The hardest thing I find about what I do is blowing my own trumpet. I only sell through galleries and am endlessly grateful to them for their support. I absolutely love to meet my clients when the opportunity arises however. I do use social media a great deal to post progress shots, finished pieces and exhibition news. I find the web is hugely beneficial for the visual arts and a good way to promote one’s work. What benefits do you feel your Fine Art degree gave you? I think the most valuable lesson learned from my degree course was to take criticism from both tutors and peers. ‘The crit’ could be a hellish experience and ensured that one had a deep understanding of the impact of subject matter, mark making, composition, concept etc. That all-important time for reflection is something that can be easily missed when working alone. Many creative endeavours can be somewhat introspective and it is essential to find that time to consider. Do you have a ‘creative philosophy’? What do you feel you are trying to achieve with your painting? I like to think my paintings are fearless. I take huge risks with them at all stages of their development, in order to seek that balance between complete freedom and control. I use a lot of water and am endlessly experimenting with different media and ideas. The alchemic magic of watercolour I find absolutely intoxicating and I love the grand gesture of a large canvas. This approach seems to complement the deep fascination I have not only for the timelessness and beauty of nature, but also its unerring power. You also run art classes. Tell us about these. Yes, I teach privately in Chailey two days a week. I do love this opportunity to share ideas and techniques with others and it does offer that time for reflection from my own work. My students know me well for my rather bold suggestions and I’d like to take the opportunity to thank them for their trust in me. I also run masterclasses in drawing and watercolour at Ashdown Gallery and the next is running from 9th May for four weeks. Limited numbers! 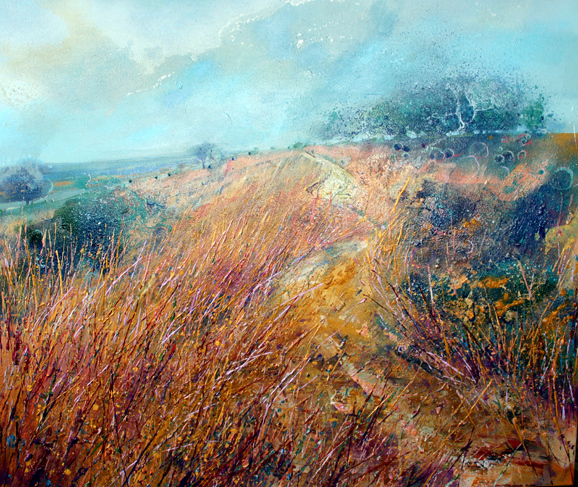 Your exhibition at the Ashdown Gallery explores Sussex landscapes. What areas of Sussex did you find the most rewarding to paint? I love to paint Sussex and I am endlessly inspired at all times of year by our marvellous county. 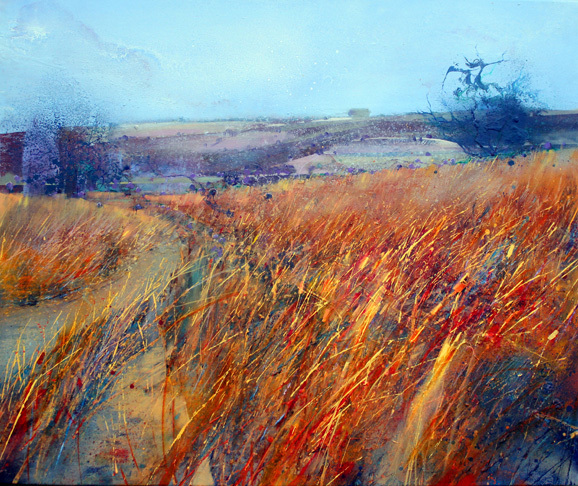 I actually err away a little from the very obvious beauty spots, though I am very moved by enormous vistas of the Downs and Ashdown Forest and I like to use energised marks and pigment to convey the majesty of our wondrous countryside. I also like to explore the more understated areas; the well-trodden path, sun-bleached grasses, the mars red hue of winter birch twigs or pebbles on a beach. There is beauty to be found all around.